Precision Torque Control, Inc. manufactures bottle retention (anti-spin) knives that are 100% interchangeable with the OEM equipment. Our anti-rotation knives are manufactured from a highly corrosion resistant hardened stainless steel. We utilize a unique five point knife design that is made to last longer than other anti-rotation knives. Precision Tork offers a cost savings over OEM supplied knives with a quick delivery. Precision Tork also manufactures other replacement parts for bottle capping & filling equipment, offering a less expensive option to OEM spare parts. 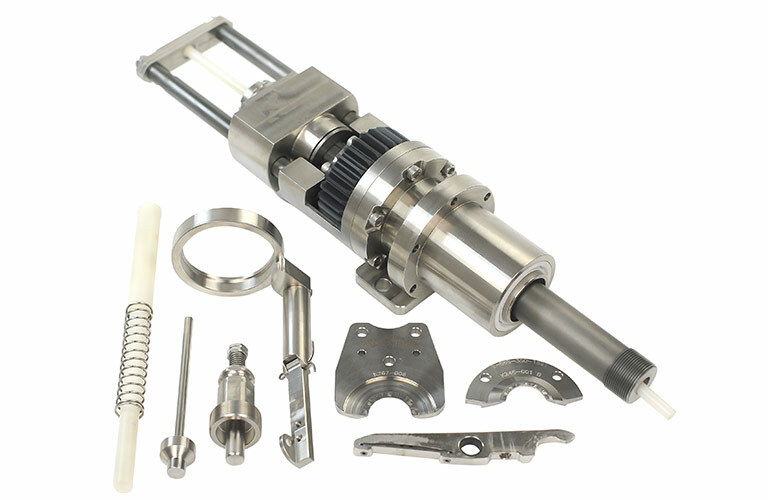 Parts include neck handling components, cap knock out rods, cap chuck parts, capping spindles and spindle replacement parts. Other bottle capping & filling parts upon request. Send us a sample of the item you need and we will give you a quote!